Your wedding reception is a party where all your guests come together to celebrate your new life as a married couple. Your reception should reflect and complement your ceremony. We also offer on-premise wedding ceremonies either indoors or on the front lawn. The fee is $200.00 and includes the setup and removal of our chairs. Ole Zim’s will work with you to plan a successful reception from start to finish. The information provided below will give you a starting point to plan your reception with us. After you have decided on a date(s), call us so we may check the availability of your choice(s). NO dates are held until a deposit, equal to the amount of the hall rental, has been paid in full. 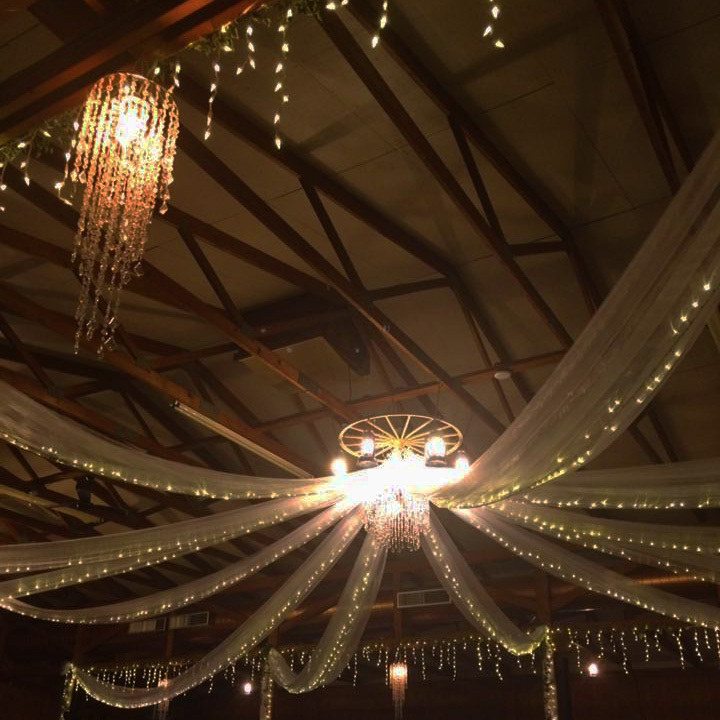 All hall rental charges include set-up and clean-up of the hall, hall rental time is 5 hours with all receptions ending by 12:00 midnight. Ole Zim’s prefers that you DO NOT use sand, stone, glitter, confetti, birdseed, bubbles, silly string or straw bales. If you choose to use any of these items an additional hall clean-up charge of $100.00 will be assessed. Upon Cancellation, deposit will only be retuned if hall can be re-booked for the same date. Liquor shots are not permitted at Ole Zim’s’ Wagon Shed. You will need to call 419-665-2577 and schedule an appointment with us. When we meet, you need to provide us with the information listed below. In addition, we will discuss your final menu selections. With this information, we will supply you with an estimated cost for your reception. How many people will be seated at the bridal table? Are you decorating or would you like us to decorate for you? Size of your cake, so we may determine the appropriate size table? The number of actual invitations you are sending? What time does your wedding start and when do you plan to start the reception? Will you be providing your own bartenders and cake cutters? 2-3 Hot Entrees, 2 Potatoes, 2 Vegetables, Salad, Rolls & Butter, & Coffee. The amount of the estimated cost of your reception will be due as a down payment three weeks prior to your reception date. The final bill will be made the night of your reception. If the actual cost is less than the estimated cost, we will issue you a check for that amount. If the actual cost is greater than the estimated cost, that amount will be due before the end of the evening. You may have your own bartenders, however, a $100 set-up/clean-up fee will be added. Covers the bridal table, gift table, serving lines, and cake table.